The Play Lady: What would your sign say? The other day I came across an article entitled Let's be gentle with each other. Let's read each other's signs from this website. IT. IS. POWERFUL. Hopefully the idea of empathy is not completely foreign, however, it has certainly become a stranger in society today. This article was written by a woman who found herself in a time of extreme stress and great need, but help was not easily found. She suggests how different life would be if we could move past all the small talk and just say what we feel. What if we didn't have to walk on egg shells in public or we were surrounded by people who wanted to care for us in times of need? 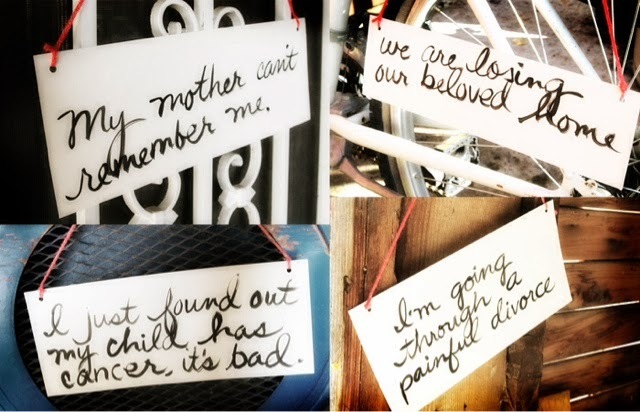 What if we could each wear a sign that let everyone know times are tough and it's hard to talk about it? 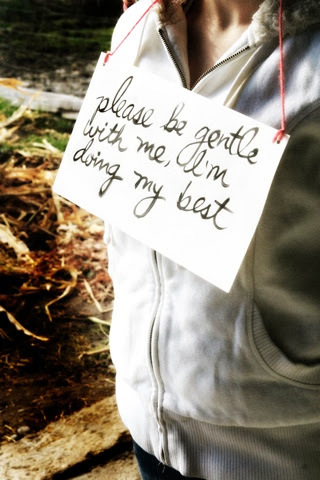 While we may never truly know what someone is really experiencing, we could instead assume each person is wearing a sign that says "please be gentle with me, I'm doing my best" and extend grace and empathy regardless of the situation. Instead of judgement, people could feel love. Instead of lonely, people could feel support. Instead of selfishness, the world could see empathy and kindness. With all that love, support, empathy and kindness; my problems seem a little more manageable and my feelings matter. What would your sign say? What do you wish people knew when you put on your pretend happy face before you start your day? How would life be different if you felt like you could let your guard down, even just a little? This week my sign might say: "I think I can, I just need someone to agree"